As any professional photographer, makeup artist, or Instagram-obsessed person will tell you, good lighting makes all the difference. This is a general rule that applies to photography and makeup application in equal measure. If you've ever applied makeup in low light only to walk out into the sun, pass by a window, catch a glimpse of yourself, and let out a small shriek when you see the garish unblended color sitting atop your skin, then you know this to be true. The reverse is also true. If you use too bright of a light to apply your makeup before, let's say, a candlelit dinner, you might be missing the sultry, dramatic mark you were aiming for. That's where lighted makeup mirrors come in. Their purpose is to provide the perfect equilibrium between bright and soft light so that your makeup appears impeccable no matter what. Bonus points if they're travel-friendly so you can bring your good light with you on the go. Keep scrolling to see our seven recommendations. 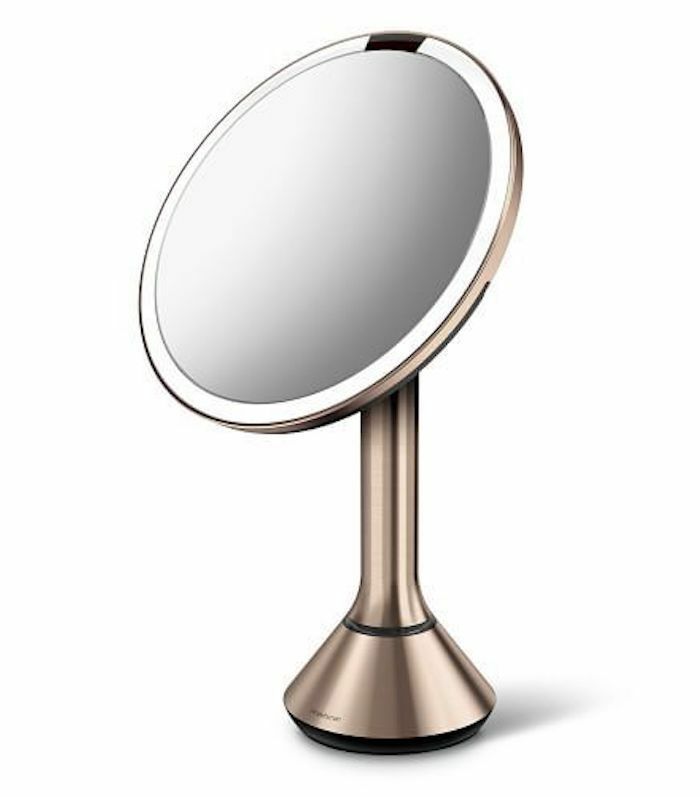 This adjustable mirror has a flexible arm and suction, so you can place it most anywhere on the bathroom vanity to get the right angle and height. It uses warm LED light, which mimics natural sunlight so you can spot any harsh lines or color separation. The best part is that it comes with a little padded travel bag that you can stow directly into your suitcase. If you're looking for something truly space-saving, then this lighted compact mirror might be it. It won't just fit into your suitcase; this little mirror might even be able to fit into your clutch. One side of the compact has a mirror with seven-times magnification. The other side has one-times magnification. This lighted travel mirror is roughly the size of an eye shadow compact. It folds in half, like a compact, so the glass won't get scratched or smudged. Plus, the eight small LED lights that surround each of the two mirrors only require two small watch batteries to operate. 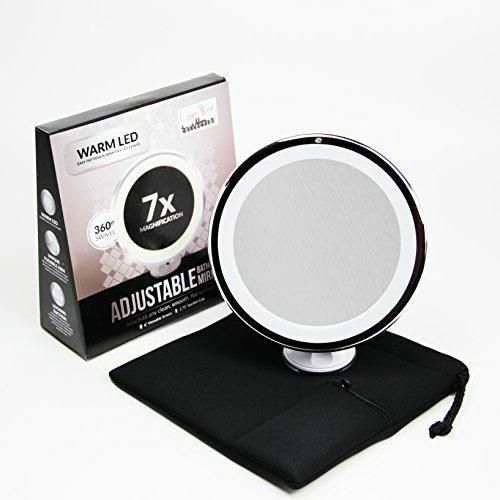 This lighted compact is a little pricier, but according to some of the customer reviews, it's worth it. 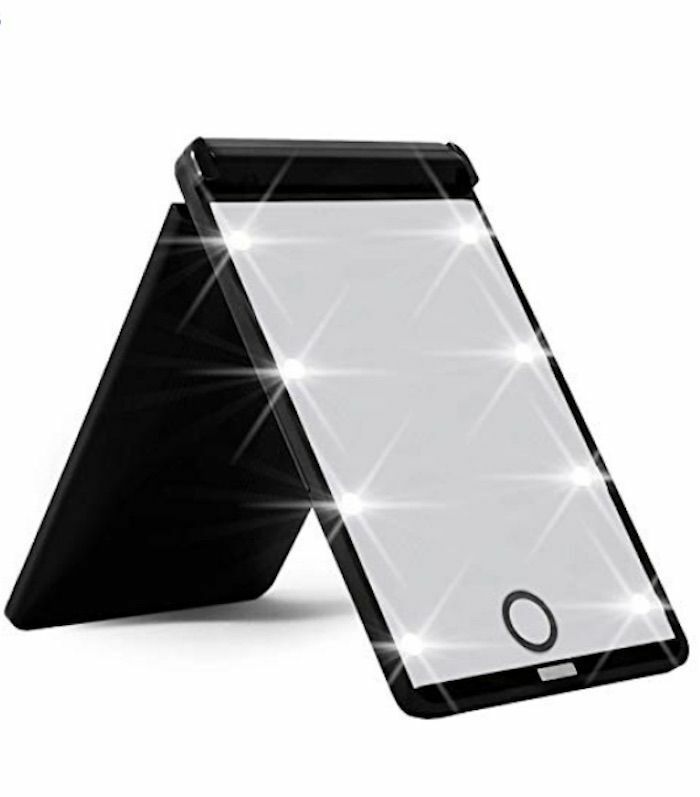 Take it from one customer, who wrote, "This is a very beautifully made mirror, feel high-quality, smooth, is lightweight but still has a good weight and feel to it. Strong light and great magnification. 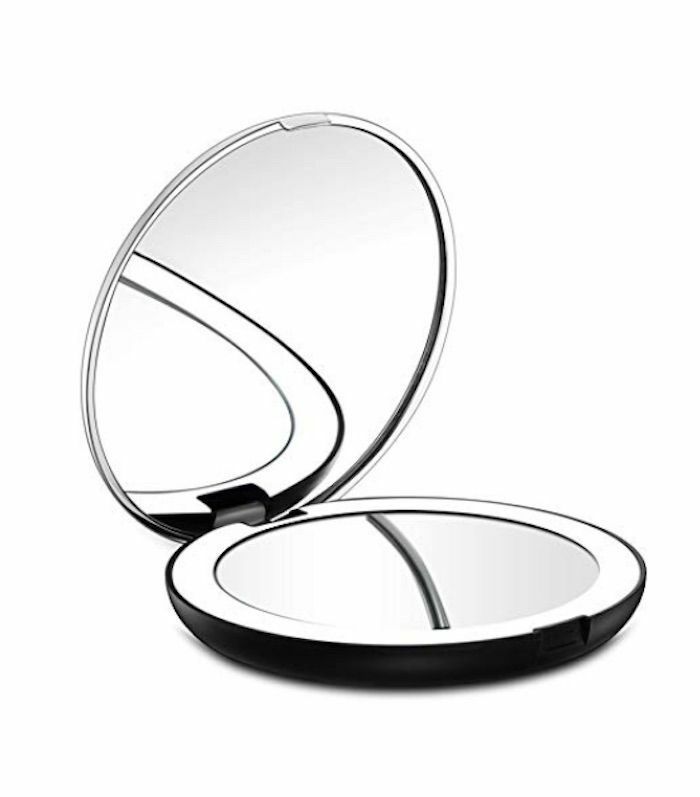 A very sleek and powerful compact mirror." 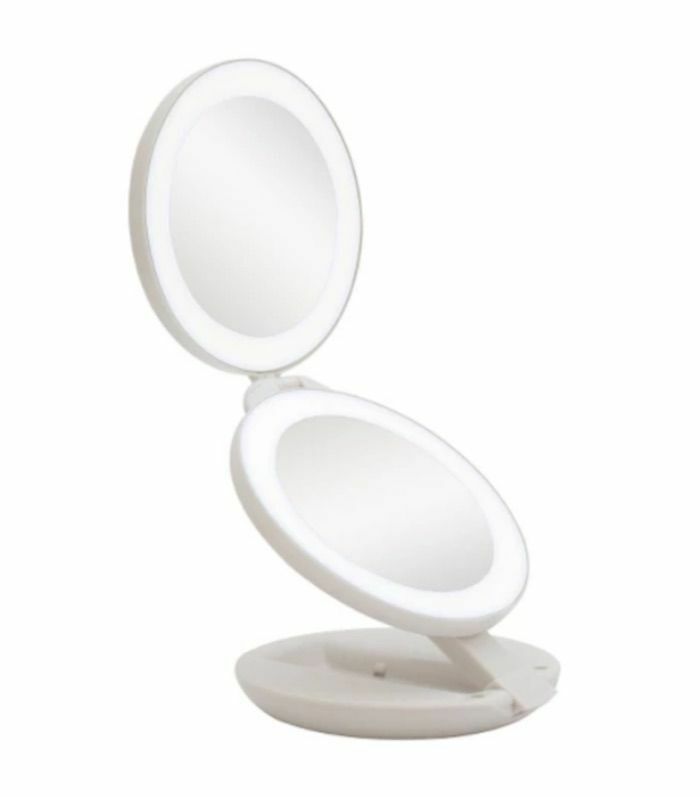 Suction this to your mirror, and you'll have a clear view of your makeup in bright LED lighting. It's large enough to get a good view of your entire face but small enough to stow away. The fact that it's cordless and super compact is also a big plus. 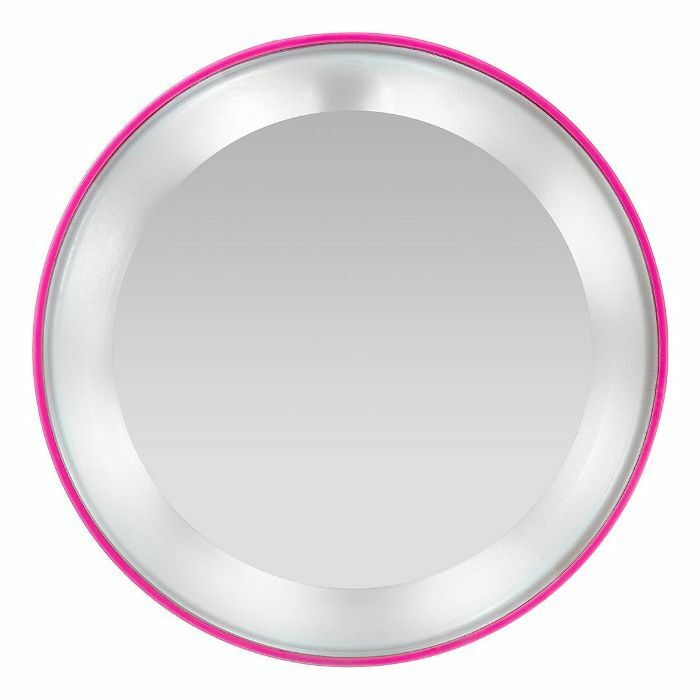 For really up-close-and-personal magnification, reach for this lighted mirror from Tweezerman. With 15-times magnification, you'll be able to see everything clearly, which is why it's one of our favorites for super-precise tasks, like inserting contacts or applying liquid eyeliner. Okay, I know what you're thinking. Almost $200 for a makeup mirror? We must be crazy. 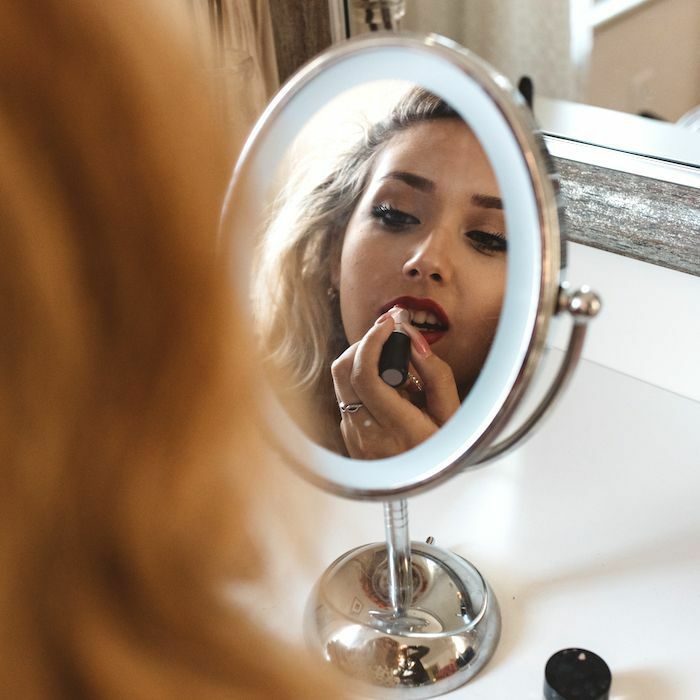 Sure, it's expensive, but it's also one of the highest-rated makeup mirrors out there. Take it from one Ulta customer, who gave it this glowing review: "I didn't want to spend this much on a mirror even after a 20% off coupon, but I don't have the opportunity to use natural light when doing my makeup and my $20 mirror was not working at all for me. This is so worth every penny. You'll find hairs you didn't know you had. And the magnification is perfect, especially for plucking your eyebrows or eyeshadow and for making sure your foundation looks good." The only caveat is that it's sturdy. That might not sound like a bad thing, but it weighs more than other mirrors do. It's also bigger than other mirrors on this list, so if you're a frequent traveler, it might be best to stick to something smaller and lighter. So even though it might be best kept on your vanity at home, it's worth including since it's one of the best. 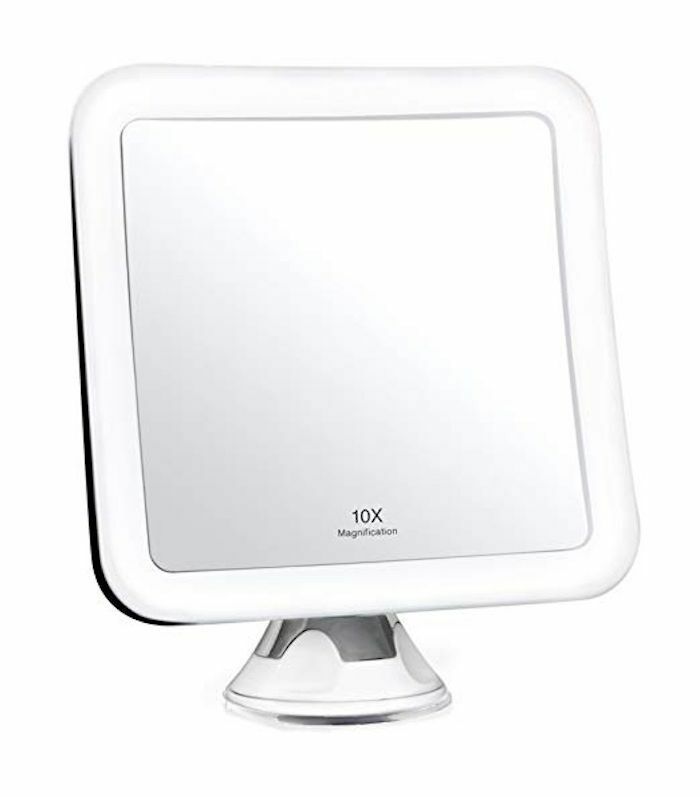 Check out more of the best standalone mirrors to place atop your home vanity.